This study systematically investigated the neuropsychological profile of language disturbance in frontotemporal dementia–motor neuron disease (FTD–MND) using a data-driven approach. Neuroanatomical correlates of language profiles were also examined. 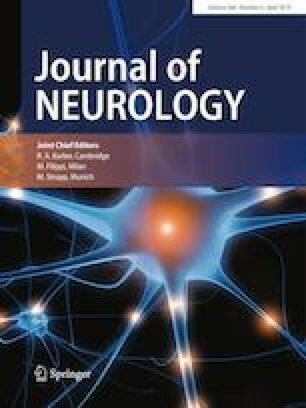 Patients with FTD–MND (N = 26), pure motor neuron disease (N = 34), progressive non-fluent aphasia (N = 30), semantic dementia (N = 17), and controls (N = 31) underwent comprehensive language assessments. Clinical assessments were complemented with the Sydney Language Battery (SYDBAT), to assess semantic abilities, and the Test for Reception of Grammar (TROG), to assess syntactic comprehension. Two-step cluster analysis examined patterns of language impairment in FTD–MND and voxel-based morphometry investigated neuroanatomical differences between clusters. Almost all (88.5%) FTD–MND patients had language impairment, with anomia in 73.1% and impaired sentence comprehension in 56%. Cluster analysis revealed two main profiles of language impairment in FTD–MND; a mild mixed semantic and syntactic impairment (mild mixed subgroup) seen in 12 cases and a subgroup with more marked impairment particularly of syntactic comprehension (PNFA-like subgroup) seen in 7 cases. VBM revealed disproportionate atrophy of the caudate head and putamen bilaterally in the PNFA-like subgroup. In conclusion, language disturbances in FTD–MND are heterogeneous and more mixed than seen in FTD language phenotypes. Atrophy of the caudate and putamen was correlated with disproportionate impairment of syntactic comprehension. A pure semantic dementia like syndrome appears to be rare in FTD–MND. The online version of this article ( https://doi.org/10.1007/s00415-019-09216-0) contains supplementary material, which is available to authorized users. This work was supported in part by funding to Forefront, a collaborative research group dedicated to the study of frontotemporal dementia and motor neuron disease, from the National Health and Medical Research Council of Australia (NHMRC) program grant (#1037746) and the Australian Research Council (ARC) Centre of Excellence in Cognition and its Disorders Memory Program (#CE110001021). MI is supported by an ARC Future Fellowship (FT160100096). OP is supported by a NHMRC Senior Research Fellowship (APP1103258). JRB is supported by a NHMRC Early Career Fellowship (#1072451). We are grateful to the research participants involved with the ForeFront research studies. This study was approved by the South Eastern Sydney Local Health District and the ethics committees of the University of New South Wales and University of Sydney. Written informed consent was obtained from all participants, or their caregivers, in accordance with the Declaration of Helsinki.